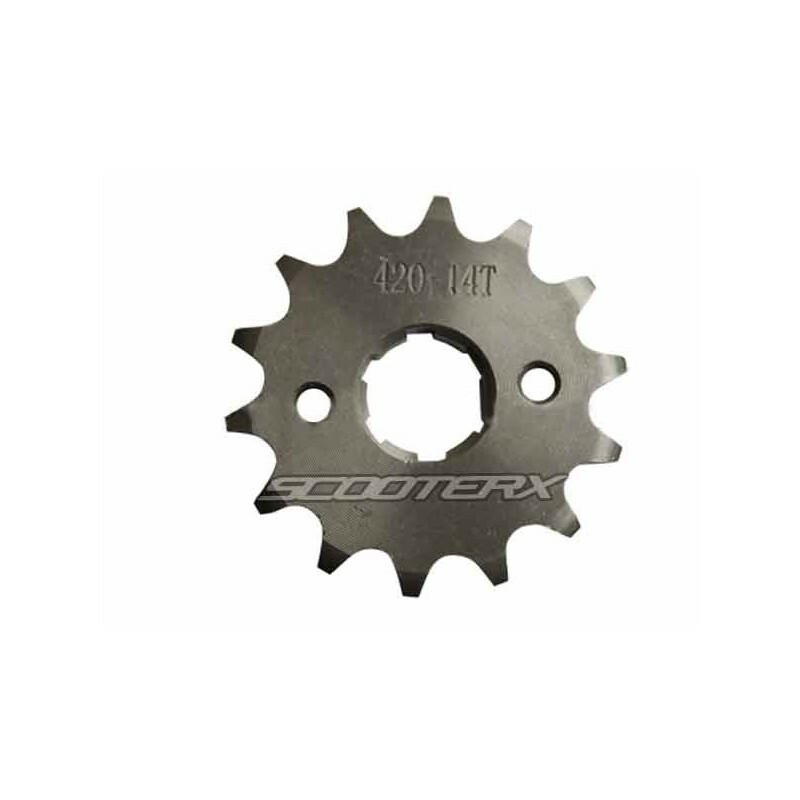 14 tooth sprocket fits a 420 chain and has a 20 mm inner shaft hole. 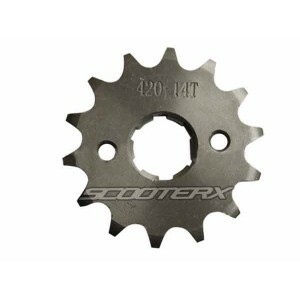 This sprocket is a 14 tooth made for a 420 chain. 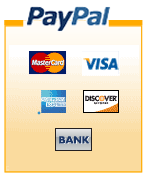 The shaft opening size is a 20mm opening to the outside walls. Bolt holes are 34mm eye to eye. 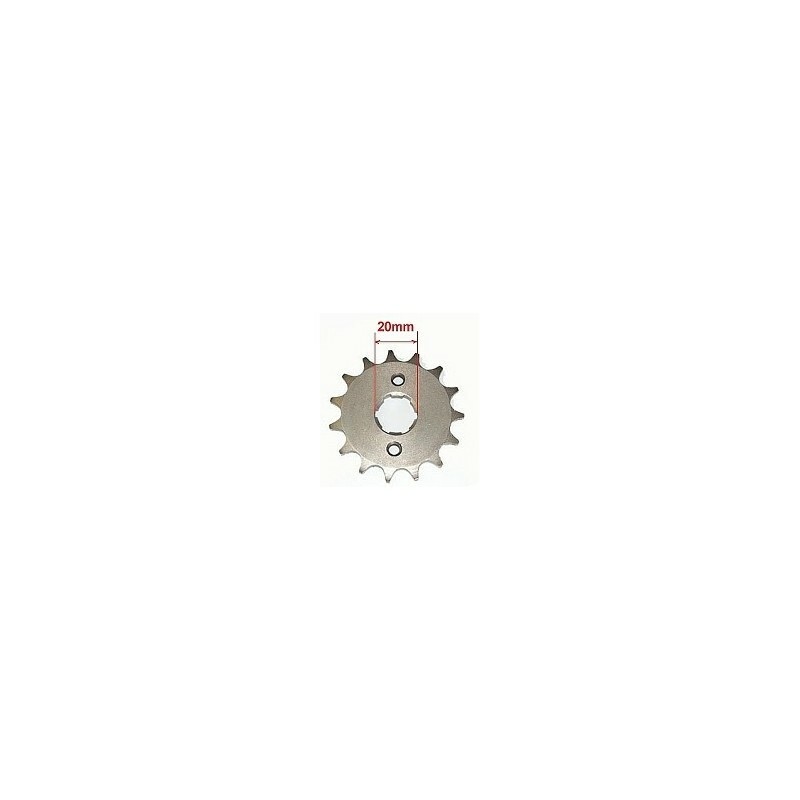 This sprocket will fit atv's pit bikes and many other applications.